A Southwest Florida soup kitchen is helping out this holiday season by preparing meals for those who need a little extra help. 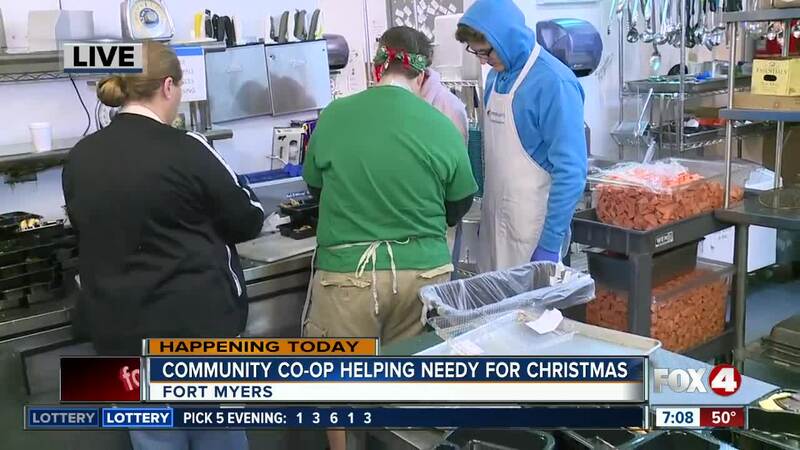 FORT MYERS, Fla. -- A Southwest Florida soup kitchen is helping out this holiday season by preparing meals for those who need a little extra help. 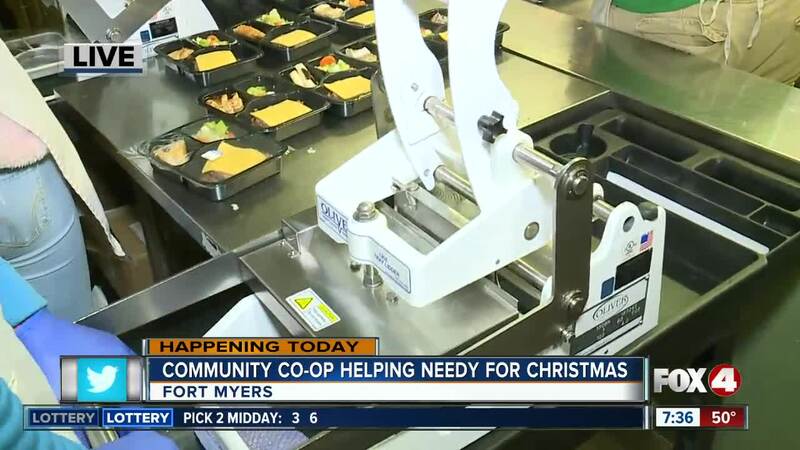 Volunteers will come in to the Community Co-op in Fort Myers Monday to prepare Meals on Wheels for elderly people in Lee County; those who can't make it out of the house or cook for themselves. They're prepping 800 dinners for about 500 families. Those meals are for both Christmas Eve and Christmas Day. Once all those meals are out the door, they'll start prepping for their Christmas Eve brunch. The kitchen's doors will open for that at 10:30 Monday morning. They plan to feed about 150 people.